Living a Crafting Life: Card Making Process: Sending Texas-Size Wishes! Card Making Process: Sending Texas-Size Wishes! 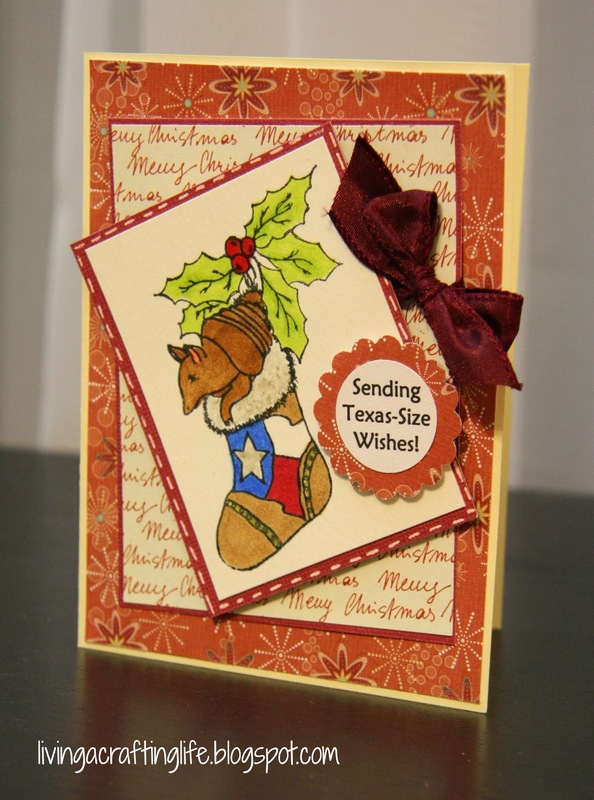 For today's post, I'm sending you "Texas-Size" Christmas Wishes with this adorable armadillo stamp from Texana Designs. This stamp was a good excuse to break out of the traditional Christmas colors and try something a little more "Texan." I am not sure that this stamp is offered anymore, but you can find all the other adorable holiday stamps at their Etsy shop HERE. The stamping for this card was with Memento Tuxedo Black ink so I could complete some simple coloring with Bic Mark-It alcohol pens on watercolor paper. For the holly berries, I added Glossy Accents for some shine, and used a Sakura glitter pen to color over the star and the stocking fur. The sentiment was designed on my computer, so I could make up the phrase I wanted to use. TRIVIA: I have yet to see a live armadillo here in Texas, although there have been some spotted in my neighborhood. Even so, I am very partial to them. Sometimes I think they just get a bad rap. 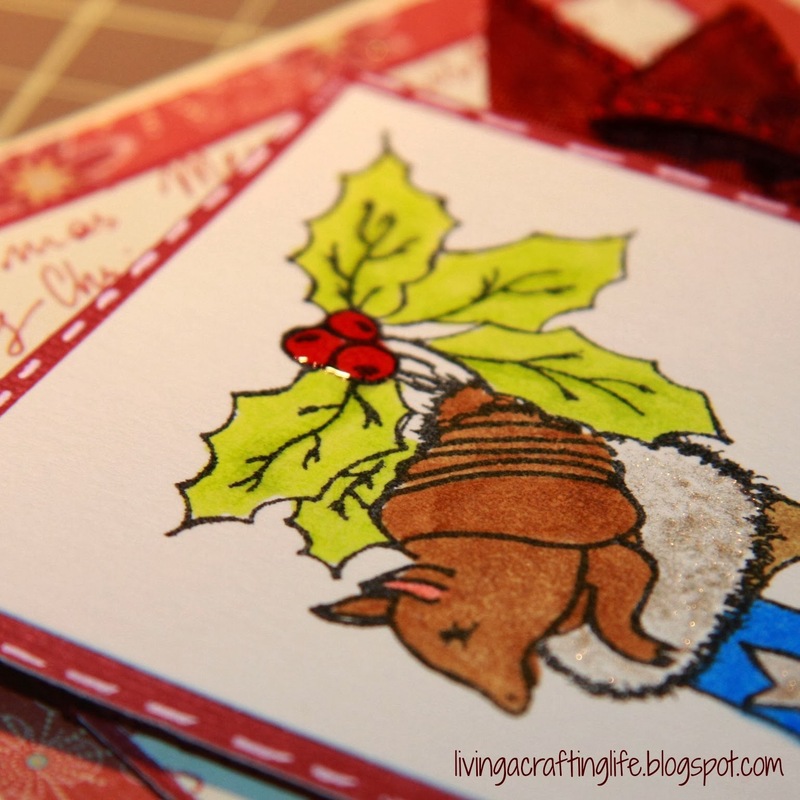 Do you make untraditional holiday cards? What have you tried? Share in the comments below!